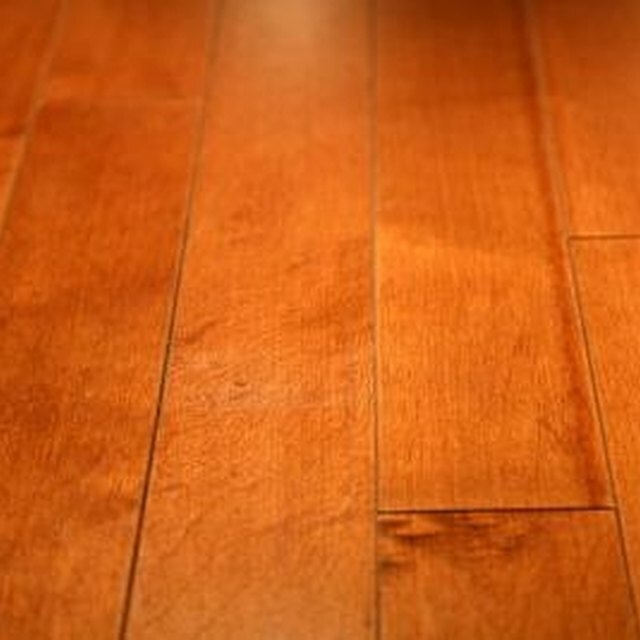 Over time your oak wood floor can loose its luster. Wood floors need to be refinished once the polyurethane starts to wear thin and the oak becomes exposed. Refinishing your oak floors will require a weekend and some proper equipment which can be rented from your local hardware store. The results will be well worth the effort. Remove all items from the room you will be refinishing. Remove the molding from edges of the room and sweep to ensure the oak floor is dust free. Inspect the flooring. Remove any nails or staples that may be on the floor. Fill nail holes with wood putty and spatula. You want to make sure that the fill is as even to floor level as possible. No need to sand down as you will be sanding the entire floor to remove the polyurethane. Assemble the drum sander as directed by the instruction manual. You will want to choose a 20-grit sandpaper if the flooring is heavily worn. For moderate wear on the floor, you can start with 60-grit sand paper. Starting in the corner of the room, allowing your drum sander to work for you as you move across the room in the direction of the grain. Go back and forth until the entire room is covered. You will want to overlap each pass by one inch. Using the same grit you used for your initial sanding, use the hand sander on the edges of the room. Sand the entire room once more in the same manner using a 120-grit sandpaper. This will prep the floor to be stained. Sweep and vacuum up the floor to remove all dust. Do not use water on bare flooring. Using the stain of your choice and a rag, work the stain over the entire floor in a circular motion. Make sure the room is well ventilated. Allow to dry for at least six hours. Apply polyurethane to protect the floor and make it shine. Use a long-handled roller and a roller cover with a thick nap to apply polyurethane. Apply two coats. Allow the polyurethane to dry six hours between coats. Allow the final coat to set for 24 hours. Reinstall the floor molding and place furniture back in the room. Do not expose bare floor to water.